Collett, Nigel. 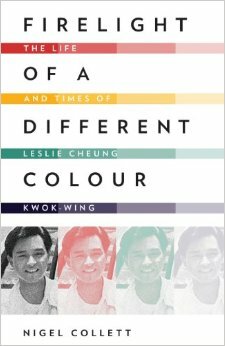 “Firelight of a Different Colour: The Life and Times of Leslie Cheung”, Signal 8 Press, 2014. Leslie Cheung Kwok-wing committed suicide by throwing himself to his death from the terrace of Hong Kong’s Mandarin Oriental Hotel in 2003 when he was the greatest star of his generation. He was truly loved by his fans and he was a wonderful entertainer. His death was a shock across Asia and in Asian populations worldwide. He had never hidden his sexual preference for men but it did not matter to his fans that loved him and in fact, still love him. The fact that he was gay was not discussed. Here is a book that traces Leslie Cheung’s story from his birth in 1950 until his death when Hong Kong was being devastated by the SARS epidemic. It took a while for Cheung to gain initial success but he became a megastar in music and on film for almost twenty years and many feel that he represented the unique spirit that is Hong Kong. He was and is considered a man who traversed the arts and even in death he continues to amaze and inspire others. This is a heavily researched look at Cheung and Nigel Collett has done a lot of work to bring us this new biography. He could not come-out in Hong Kong but he and his partner, Daffy Tong despite the way the media would not leave him alone. And this is more than a book about Leslie Cheung— it is also about having to hide one’s identity because of the traditional culture. 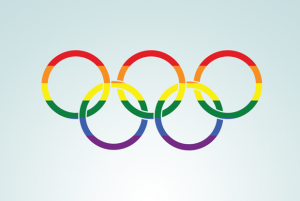 This entry was posted in GLBT memoir and/or biography, GLBT non-fiction on January 28, 2014 by Amos. I need to get a direct email or phone to Amos…I am Mike Renshaw who worked with Mary Travers on the book he kindly reviewed and was deeply touched by the personal information he shared about Mary and his friend.